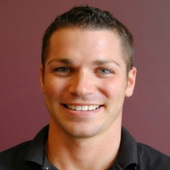 Dr Bryce Arndt is the Chiropractic Physician on site. He studied Life Sciences at The Ohio State University and finished with a Bachelor’s degree and a Doctorate at Logan University in St. Louis, Missouri. In addition to Chiropractic, he carries credentials to perform Medical Acupuncture, Orthotic Casting, Functional Medicine, and utilizes a Level 2 certification with Titleist Performance Institute that allows him to work with various athletes on performance. Dr. Arndt has a passion for people and health alike. I am a licensed massage therapist practicing in Jacksonville, FL. In 2017, I graduated from Denver Integrative Massage School where I attended a 600-hour massage and bodywork program. During my time as a student, not only did I obtain the knowledge and skills essential to providing a beneficial experience to all my clients, I was reminded everyday of why I was driven to share my healing touch with the world. My training at this school was exceptionally unique in how the instructors merged the cultivated, holistic systems of the Eastern world with the more modern-day, conventional healthcare of the West. In every session, I target the key components of both equally important approaches to bodywork. In addition to the hands-on training I received, I took part in a 100-hour anatomy/pathophysiology course which expanded my understanding of the human body. I offer a wide range of modalities including TPT, Deep Tissue, myofascial release, pre(post)-natal massage and Thai Yoga Massage. I also have optional add-ons available which include hot stones, aromatherapy, CBD-infused massage oil and Thai herbal compresses for everyone to reap the full benefits of massage.